The “Palestine Papers” reveal fully the extent to which Palestinians have neither genuine leadership nor a partner for peace. At the foreground is an unrepresentative "authority" prepared to compromise the most fundamental of Palestinian aspirations for an unrelenting colonizer and its imperious supporter. In the background lies a key mechanism enabling Palestinian deprivation: the aid industry. Palestinians are among the most aid-subsidized people on earth. Anne Le More’s International Assistance to the Palestinians after Oslo demonstrates how $8 billion of post-Oslo aid made its way to Palestinians between 1994 and 2006. Much of this claimed to build the institutions necessary for a two-state peace process and to support socioeconomic development (see Ali Abunimah’s review "How Aid Hurt Palestine"). 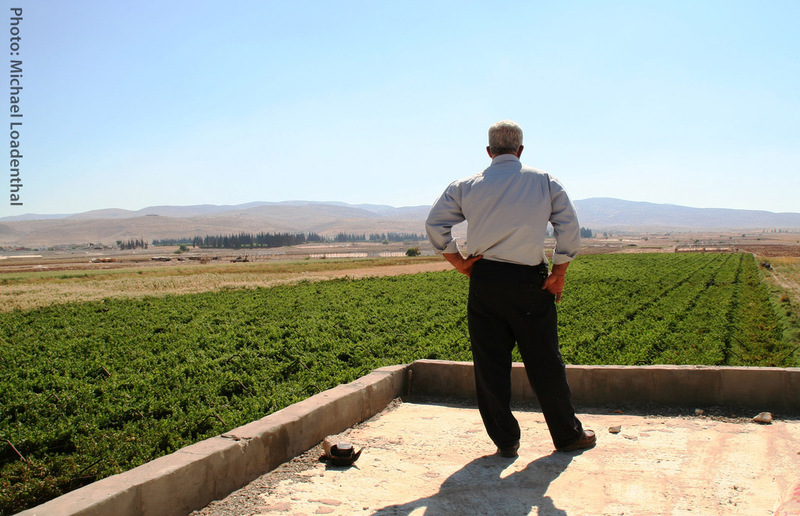 The aid industry is a key factor in Palestinian de-development. Discourses of "aid," "development," and "reconstruction" shield Israel’s ongoing occupation and colonial project. A full third of the Palestinian Authority budget is aid-subsidized. In addition to funding a distorted Palestinian political system, the aid industry directly removes from Israel the burden of responsibility for the destruction of Palestinian lives, livelihoods, and infrastructure. 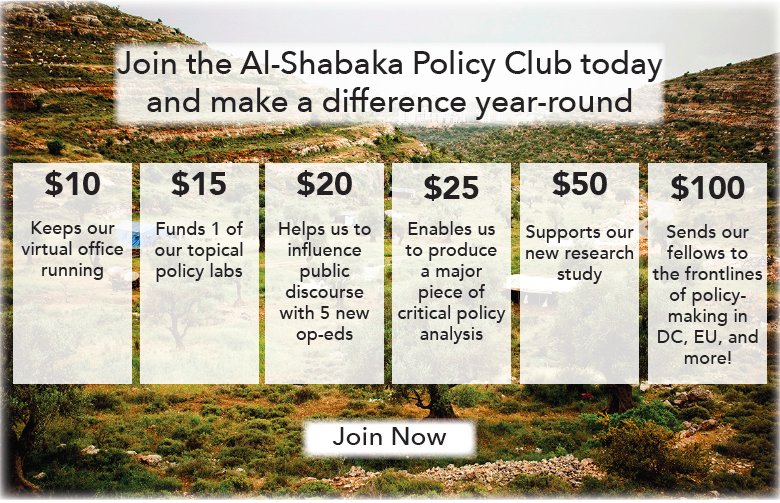 In doing so, it allows Israel to focus its resources and efforts to the acceleration of Palestinian poverty, the expansion of settlements, the expropriation of Jerusalem, and the destruction of Gaza (see Al-Shabaka policy brief on Palestinian development). The blinders through which most aid industry actors operate serve to de-politicize and de-contextualize Palestinian "poverty." This was evident at a presentation by a representative of a large UN aid agency at a London-based university in late 2010. The presentation outlined a number of initiatives to feed destitute Palestinians and energize the economy of the West Bank, some being replicas of the organization’s work in sub-Saharan Africa and South Asia. After the presentation, the moderator made clear that the presenter represents an ‘apolitical’ agency and thus would "not field political questions." Of course, members of the audience could not resist the temptation to ask "political" questions, probing the possibility that de-politicizing aid plays a role in supporting and expediting Palestinian de-development. To this, the presenter posed a troubling dilemma: “Aid saves Palestinian lives.” Surely, it is not enough for aid to "save" Palestinians from their own "poverty," so that they can continue to endure a devastating occupation and brutal dispossession. Must the choice be starvation on one hand, and on the other, a marginal survival with the dissipation of national aspirations for self-determination and the right of return? The agency in question is representative of a majority, but not all, of the international aid organizations, agencies, and donor projects servicing Palestinians. By contrast, two international organizations manage to fulfill significant mandates without de-politicizing their work. The first is the United Relief Works Agency for Palestinian Refugees (UNRWA). Writing on the UNRWA-Palestinian relationship, Randa Farah discusses the way in which the UN agency “is of vital importance to the Palestinian national struggle.” UNRWA upholds its obligation to UN resolutions as a mechanism for maintaining Palestinian refugee visibility and collective memory, and as an organization embodying the mandate for refugee rights in absence of a functioning national Palestinian consensus. Of course, in the absence of a final settlement, UNRWA does play a significant role in supporting the limbo in which millions of Palestinian refugees exist. Yet it operates with full acknowledgment of the political reality and context in which it works, and importantly maintains elements of Palestinian rights and aspirations as part of its core mandate. Next, the Rosa Luxemburg Foundation (RLF) recognizes that the institutions of foreign aid create dependencies where local organizations are unable to exert and promote their own agendas and aspirations. 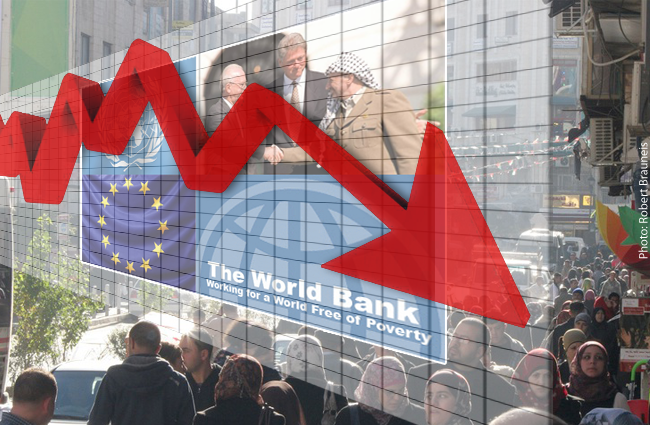 RLF explicitly acknowledges the decades long failure of the aid industry, and that Palestinian social, economic, and institutional capacity will continue to erode without the support of grassroots and progressive political organizing as well as a Palestinian-owned development agenda. A large number of Palestinian civil society organizations and individuals embody the aspirations of their people through the peaceful Boycott, Divestment, and Sanctions movement (see the policy brief by Omar Barghouti). Those who support BDS refuse the colonial project of economic normalization and demand a forum through which to express their socioeconomic and political aspirations. In harmony with BDS standards, international aid organizations too must consider the role they -– and their donors –- play in driving Palestinian de-development. The aid industry in Palestine must choose between either the blind subsidizing of oppression, or a recognition and cessation of its support for it by adopting Mary B. Anderson’s Do No Harm framework, as well as codes of ethics developed by the UN, bilateral donors, and international and national non-governmental organizations. Subsidizing a brutal occupation and illegitimate authority translates into the deliberate crushing of Palestinian aspirations and hence the very tools for creating lasting peace. As the world has witnessed through the "Palestine Papers," when aid is de-politicized, donors and international organizations are able to pour billions of dollars into a colonial project under the masks of institution building and poverty reduction. 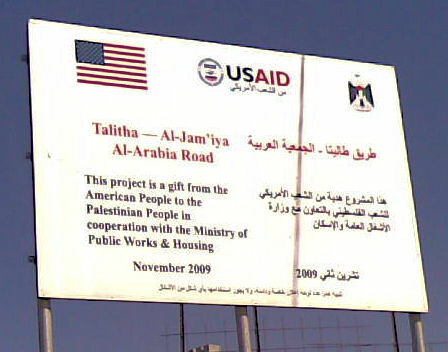 Standing in stark opposition to the stated objectives of aid to Palestinians is the reality of subjugation so clearly evoked in Malcolm X’s "Message to the Grassroots": the façade of a government pandering to an uncompromising colonial project bent on the destruction of Palestinian human rights and national aspirations. As a first step out of this inadvertent (or intended) collaboration, well-meaning aid workers should embrace the Do No Harm framework within their organizations to ensure that their work does not simply serve to "rebuild" what Israel deliberately destroys. Aid organizations and agencies must seriously rethink the claim that their work is "apolitical," should immediately publicize the extent of potential harm caused throughout their chain of operations, and outline a transparent action plan for eliminating potential harm in their work. Areas for consideration include: securing funds from donor-countries that support Israeli military or economic activity, objectifying Palestinian ‘poverty’ through literature and marketing materials, working through or with Israeli state agencies, and explicating how aid is employed in relation to Israeli policy and military activity. Aid agencies must attempt to hold Israel politically, fiscally and morally accountable for past and ongoing destruction rather than contributing to the creation and perpetuation of an illusory Palestinian leadership and Palestinian de-development. Otherwise, massive aid subsidies under the masks of "development," "reconstruction," and "institution building" make the aid industry complicit in the deliberate devastation of the people it claims to serve.